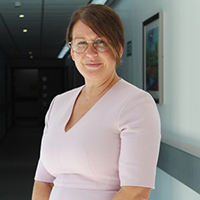 Janelle was appointed as Chief Executive in June 2018, having already spent two years at the Trust as Chief Operating Officer. 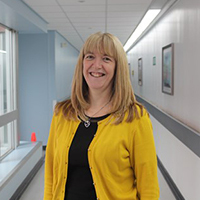 Prior to joining Wirral University Teaching Hospital, Janelle was the Director of Operations and Performance at Salford Royal Foundation Trust. 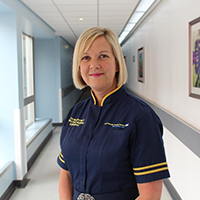 Janelle has worked in the NHS since qualifying as a Registered General Nurse in 1991. 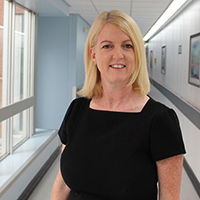 During her nursing career she worked in a variety of clinical areas, moving into operational management in 2004 following a spell as a ‘health economy’ service transformation lead. Janelle is passionate about service improvement, staff development and whole system working to improve patient outcomes and experience. 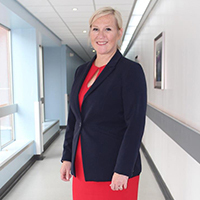 In 2011 she successfully integrated Salford Community Adult and Children’s Services with the acute hospital as Managing Director for Salford Health Care. In 2015 she established the Better Care at Lower Cost programme as Director for Productivity and Efficiency with the specific focus of improving patient quality and safety to drive cost reduction. 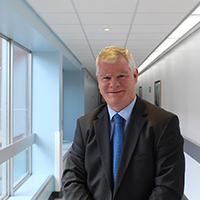 Anthony started his career with the NHS straight from school and before joining the Trust, spent 30 years working in the Warrington and Manchester health systems. Having started out working in Finance, Anthony then moved into contracting and service development before delivering transformation programmes and directing the day to day operations of some of Manchester’s biggest hospitals. His role here is to ensure that our three clinical divisions deliver their operational plans, and that they have the right resources in place to achieve them. As Chief Operating Officer, Anthony has the responsibility of keeping our hospitals running on a day to day basis by making sure that the organisation is aligned to deliver what patients need. 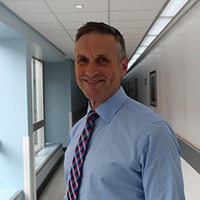 Having been at the Trust for over a decade, Dr Stevenson joined WUTH in 2007 as a Consultant. 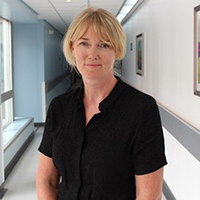 Dr Stevenson's extensive career with us has seen her develop greatly from Clinical Service Lead for Respiratory (2015) to the role of Divisional Medical Director for the Division of Medicine. Most recently, Dr Stevenson was appointed Executive Medical director her at WUTH and brings a great deal of experience to the role. 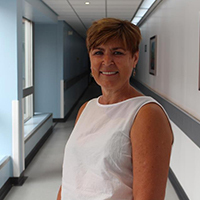 Gaynor joined the Trust as a student nurse back in 1984 and has spent her entire NHS career dedicated to caring for people at Wirral hospitals. After three years of nurse training, Gaynor became a Staff Nurse on the orthopaedic wards here at Arrowe park Hospital, her hard work and commitment to patient care resulted in her being promoted to Ward Sister initially at Arrowe Park Hospital, then transferring to Clatterbridge Hospital. Helen has been in the HR field for over 30 years and has worked at Executive level for 18 years. Having started in Local Authority over in Leicestershire, Helen moved into the NHS in 1999. Her health service experience spans commissioning, primary care, mental health and more recently acute provider. As a qualified HR professional, Helen was awarded HR Director of the Year in 2013 at the Healthcare People Management Association (HPMA) Awards. 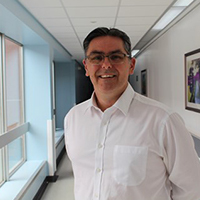 Beginning as a registered nurse in emergency care, Paul Moore has now joined the organisation as the Director of Governance and Quality. 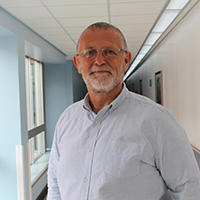 Paul has spent many years in risk and quality, working at Sherwood Forrest, St. George’s University Hospitals, Leeds Teaching Hospitals and South Manchester University Hospitals. 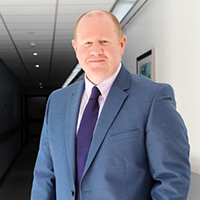 Paul has a track record of improving safety management and intends to transform the organisation's approach to quality and governance, making WUTH an exemplar site. Paul is Director of IT and Information looking after Systems, IT, Information, Information Governance and Health Records. He has more than 35 years experience in health care informatics and a Masters in Technology Management. He has worked in senior roles at the National Programme for IT and Cheshire and Merseyside Strategic Health Authority. He also worked for Hamad Medical Corporation in Qatar for 5 years leading their strategic Informatics programme (2010-2015). Paul has previously worked for Wirral before as the Director of Health Care Informatics and Wirral Health Informatics Service. Sir David took up this post as Interim Chairman in February 2018. 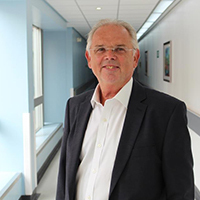 He is also currently Chair of Alder Hey Children's NHS Foundation Trust since February 2011, having been Chair of NHS North West for four years. Among his many achievements, Sir David was responsible for the review of the child support system in the UK in 2007. He was also involved in the Prime Minister’s Delivery Unit Capability Review programme of central government departments. In February 2012 Sir David was asked by Monitor to take on the role of Interim Chair at University Hospitals of Morecambe Bay NHS Foundation Trust. This lasted until April 2013.He has subsequently been interim Chair at Dorset Healthcare Foundation Trust and St Georges University Hospital Foundation Trust. John was appointed Non-Executive Director in July 2015. He has extensive international manufacturing, business change and HR experience at senior levels in ICI, Texaco Canada Inc, Ineos Chlor Ltd, Sanofi Aventis Ltd and Novartis Vaccines & Diagnostics Ltd. Recently he also founded ICTAN Limited, providing management consultancy and executive coaching support to senior manufacturing and general management leaders in various industries. Sue Lorimer joined the board in July 2017. She has spent most of her career in NHS Finance, mainly in the provider sector and is an associate member of the Chartered Institute of Management Accountants. She took up her first Finance director post in 1990 and has held board level posts in a variety of NHS providers including ambulance, community and specialised services. She joined the NHS Trust Development Authority, (later NHS Improvement) when it was formed in 2013, taking the lead on provider Finance across the north of England. She is a keen supporter of training and development and was a trustee of the Healthcare Financial Management Association for 9 years, taking the role of president in 2015. She retired from full time work in 2016. Sue lives in Liverpool with her partner John and their 2 cats. John was appointed as Non-Executive Director in July 2017. 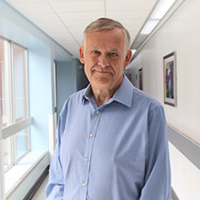 John retired in 2014 as Medical Director and Deputy Chief Executive of Homerton University Hospital NHS Foundation Trust, which he had held for 16 and 10 years respectively. 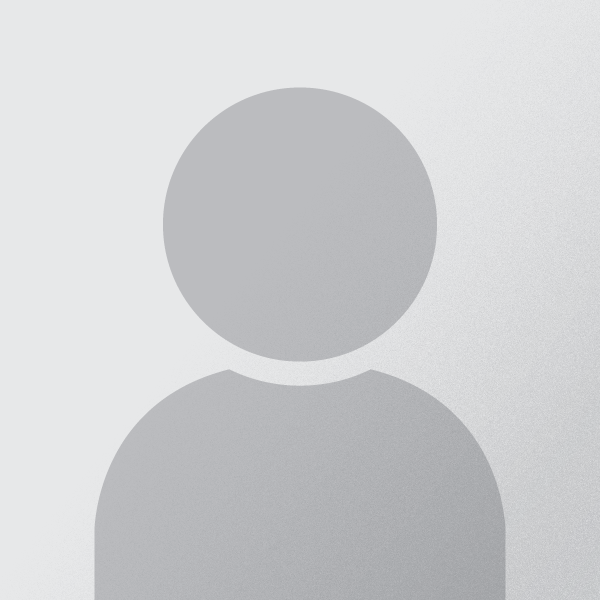 Prior to that John was a Consultant Physician in Intensive Care Medicine. 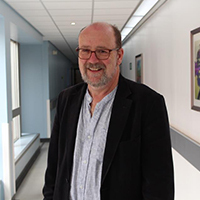 John set up the first ICU follow up and bereavement clinic in London and was awarded the OBE for contribution to the NHS in the Queen’s Birthday Honours list in 2014. He was also awarded a national Sliver Clinical Excellence Award by ACCEA in 2007 and renewed in 2011. John was an active researcher before his Consultant appointment and for several years after. Jayne was appointed Non-Executive Director in July 2018 and brings with her great knowledge and business executive insight having worked in several blue chip organisations including BT, HSBC and Marks and Spencer. Having held a number of executive level positions across differing operational areas including: HR, customer service and people development, Jayne's primary talents and interest sit within the areas of transformation and leadership where she has made many notable achievements across several business areas. Jayne has a strong ability to effectively respond to change and to communicate at all levels. She is looking forward to sharing this wealth of experience with the Trust and its dedicated workforce. Chris was appointed Non-Executive Director in July 2018 and brings with him great knowledge and experience of technology developments and project management from his career in the Aerospace Industry. Having held a number of senior executive level positions with BAE Systems, Chris has worked both nationally and internationally. His primary talents and interest are within the areas of technology development, project management and leadership where he has made many notable achievements. Chris has a strong wish to support the community and the NHS through sharing his wealth of experience supporting the organisation and its dedicated workforce.